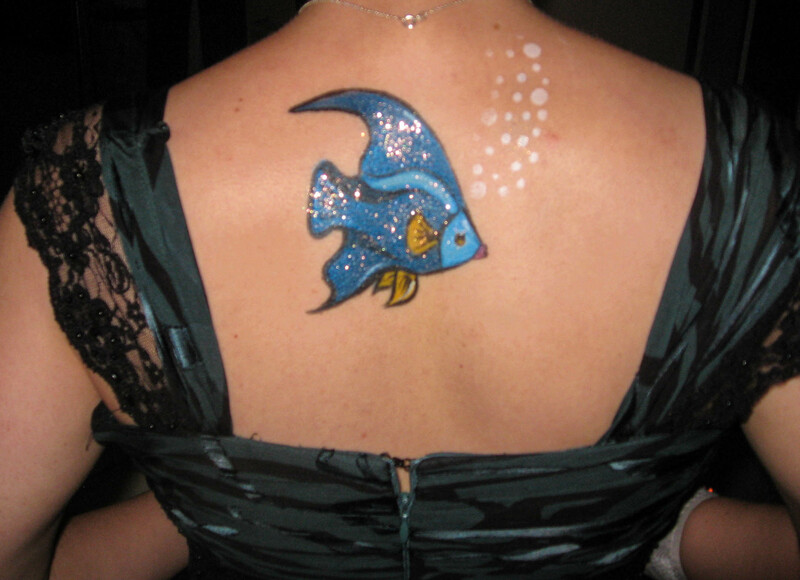 Just keep swimming… my fun body art from last night’s formal. First off: Happy Veteran’s Day to all those who have served or are currently serving. Thank you for your time and dedication. I’ll be spending the observed holiday working from home because I have a massive deadline coming up and I’m nearly done. So – why wait until Tuesday? And, I was reminded that there are only 33 days left until, possibly, my last showcase at my home studio. I have two routines that have completed choreography. (YAY!) Now I just have to practice them both… a lot. Which I’m not doing… at all. Sigh. If only I could learn my routines by osmosis. But I got the fantastical news from my mom today that I’ve been put in charge of bringing a dessert to Thanksgiving this year. Why we need 4 different types of dessert for 20ish people is beyond me, but whatever. I now get the choice to bring something I can have and not feel guilty about it later. I have this collection of low sugar desserts on Pinterest, plus a smattering of cool looking gluten free recipes that I might try, pending I can find the ingredients. I also may try a vegan recipe that I know works. But something with Pumpkin in it… or something fall-like is probably a better idea. 1) Stevia Apple Cake – I’ve never worked with Stevia, but I find it creeping up more in recipes. I generally use Splenda, so we’ll see. 2) Pumpkin Brownies – Which just sound amazing, but I’m having a hard time imagining brownies without chocolate. 3) Crustless Mini Pumpkin Pies – This would be interesting to see if subs for whole wheat flour and Splenda would still keep this palatable. I like the portion size… and never liked pumpkin pie crust anyway. 4) Pumpkin Cream Cupcakes – Already has a decent amount of calories kicked out by using low fat/sugarless everything. Can’t imagine the carb count would be out of control either. They just look way too labor intensive for a Wednesday afternoon. 5) Apple Crisp – Duh! This NEEDS to be at every party I attend. And it’s low sugar/fat? Cool. 6) Cinnamon Apple Cake – Sounds delicious. Not sure how I feel working with agave yet. So those are my options. For the record, the party already has cookies, pumpkin pie, and a small cheesecake coming.